The 2018 Nominating Committee would appreciate your help in identifying strong candidates for President-Elect of the Association and for two open positions on the Executive Committee (three-year terms). To be eligible, a person must have a faculty appointment at an AALS member school. The committee will formally recommend candidates for these positions to the House of Representatives at the 2018 Annual Meeting in San Diego. 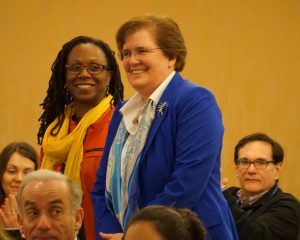 Please send suggestions for persons to be considered, along with supporting comments, to AALS Executive Director Judy Areen at 2018ECNominations@aals.org by June 1, 2017. You may also mail recommendations to 1614 20th Street, NW, Washington, DC 20009.